This property is located in the "Gilbert-Mosley Groundwater Site." There is no hot water heater on the property.The water has also been shut off due to a pipe dripping beside the bathroom. There are also no AC units on the property. 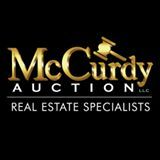 LIVE AUCTION WITH ONLINE BIDDING! This property is being offered in a multi-property auction conducted off-site at the REALTORS of South Central Kansas building (170 W. Dewey, Wichita, KS) on Wednesday April 24th at NOON. All properties selling with clear title at closing and no back taxes. Properties will have preliminary title work completed by Security 1st Title, unless otherwise denoted. Title company closing and title insurance fees will be split equally between the Buyer and Seller. NO MINIMUM, NO RESERVE!!! Wonderful opportunity to purchase a 3,142 +/- sq. ft. commercial building in south west Wichita along with residential spaces! This property features a large retail space with a sales room with plenty of counter space and shelving to display merchandise along with a large storage area in the back with shelving and work areas to help keep inventory organized. Above the retail space there is a finished 3 bedroom 1 bathroom apartment complete with an open kitchen, large living room, carpeted bedrooms and a Jack and Jill bathroom. Staying upstairs but down the hall there is an additional unfinished apartments that have the potential to be separate and together. Connected to the retail space and apartments is a home that has been converted into four apartments. Don't miss out on this great investment opportunity that just needs some TLC! Harry & Broadway- West on Harry St, North to property.